The growing trend among media organisations to use right-grabbing contracts has become a matter of great concern for the International and the European Federation of Journalists (IFJ/EFJ). 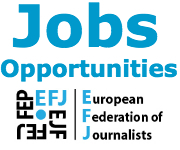 As a result, the IFJ/EFJ have launched a European wide campaign against right-grabbing contracts and demanding fair payments to journalists. The authors’ rights of journalists are protected by international treaties and national laws. These rights not only include the economic rights (the right to earn money from a creative work) of authors but also their moral rights. Moral rights are guaranteed in national laws. 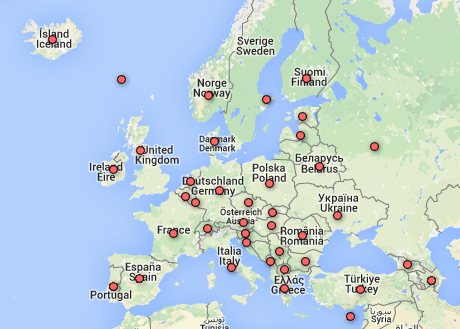 The national legal frameworks in most European countries recognise unwaivable moral rights of authors. The exceptions are the UK, Ireland and the Netherlands where moral rights can be waived – and publishers therefore frequently demand this. II. Say “NO” to right-grabbing contracts, advocate collective agreements Journalists shall never sign right-grabbing contracts. 1) All authors’ rights in the work shall remain with authors who will retain their exclusive rights. The licence granted to publish or broadcast the work will be limited to the first publication/broadcast only. Unless there is express written agreement to the contrary, the licence shall expire within a certain period as permitted by national law after the delivery date. The publisher/broadcaster shall not make the copies available without the permission of the author after the licence expires. 2) Any modification of the work shall be subject to prior authorisation by the author. 3) Publisher/broadcasting company agrees that the following credit line (name of the author, date) shall accompany every publication or broadcast of the material. What is a rights-grabbing contract? Contrary to international and national laws, right-grabbing contracts often demand journalists to sign away their authors’ rights, including both economic and moral rights. – allow the publisher to transfer his/her works to third parties without additional payment to the author and exploit his/her works in any way the publisher deems necessary. What do unfair contracts look like ? Sample I is from an international news organisation based in the US. Sample II is from a news agency in Madrid, Spain. Sample III is from a news magazine in Madrid, Spain. Sample IV is from a German publishing house. Sample V is from a German scientific magazine. LAUNCH YOUR NATIONAL CAMPAIGN NOW! 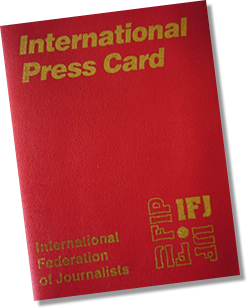 The IFJ/EFJ are calling on member unions to launch their national campaigns against right-grabbing contracts and demand that responsive democracies treat journalism as a public good, defend the authors’ rights of journalists, and reward journalists fairly.